Every four years, the world’s biggest competition unfolds – the Olympic Games. Alternating between the Summer and Winter Games, it’s a tradition that dates back to the 8th century in Olympia, Greece. Arguably the biggest event in the world, it is hosted by a lucky chosen country each time. But are these countries really lucky? Although it’s considered an honor to host the Games, it has proven to be economically devastating to many of the countries that have taken on that responsibility. After the Games, these countries are left with larger-than-life stadiums and complexes that are never taken advantage of, or taken care of again. 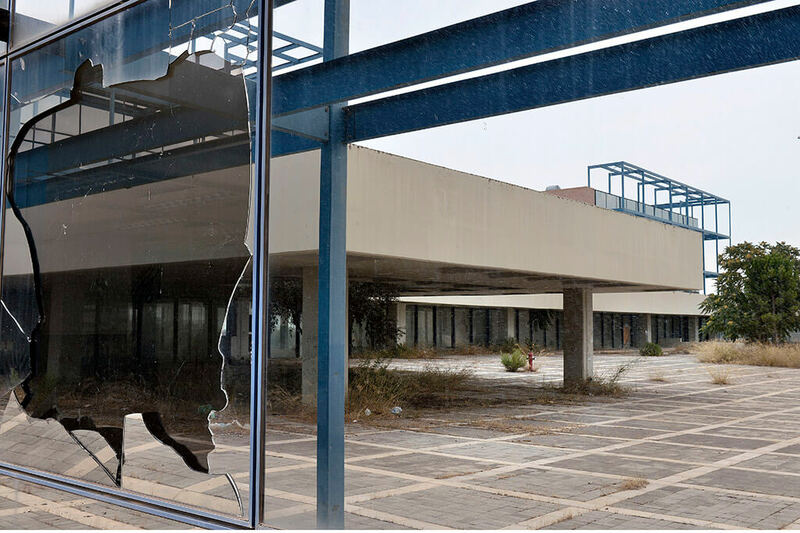 Take a look and see what has become of these impossibly expensive Olympic complexes that have been neglected entirely. 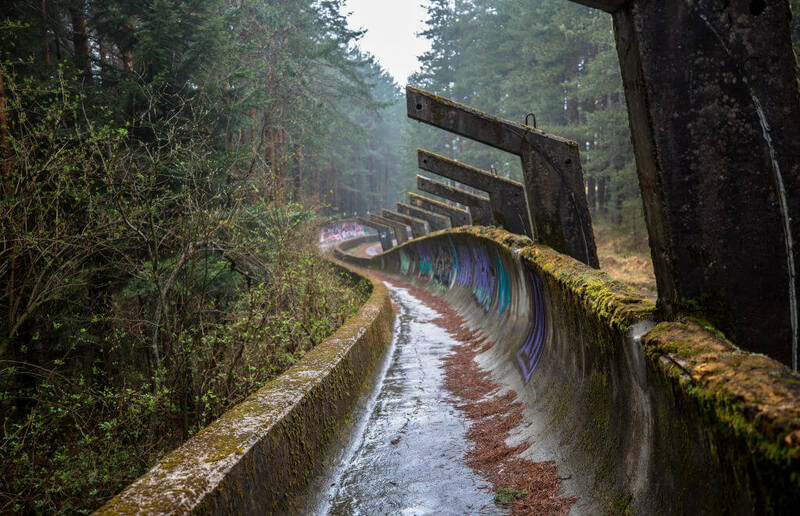 This bobsled track in Sarajevo, Bosnia and Herzegovina is a reminder of the 1984 Olympic venue. 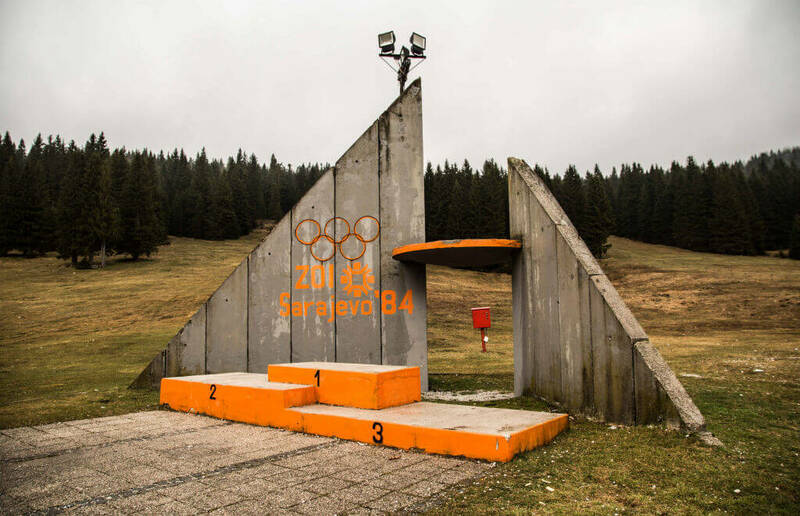 Sarajevo was commended for their ability to complete such a venue. The 1984 Winter Olympics was the first ever winter Olympics held by a communist state which Yugoslavia wasn’t comfortable with. Olympic Fact: From 1924 to 1992, the Winter and Summer Olympics were held in the same year. Now, they’re on separate cycles and alternate every two years. 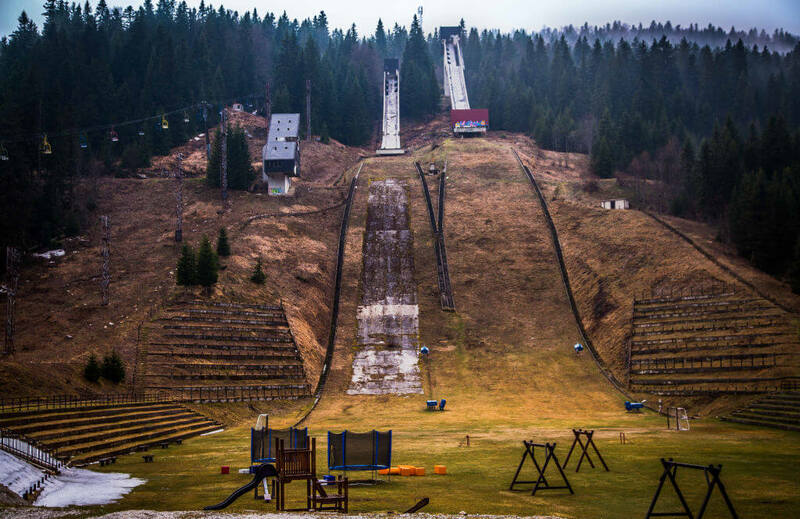 In 1984, these ski slopes were packed full of spectators and competitors eager to prove their abilities. However, prior to 1984, the Austrian-Turkish town was best known for the site of the assassination of the Austrian archduke, which started World War I. They believed that hosting the 1984 Olympic Games would help to change that. Olympic Fact: Only four athletes have won medals in both the Winter and Summer Olympics. Christa Luding-Rothenburger is the only one to win them in the same year. Here, the winners once stood proudly before the world to show off their medals and represent their country. Little did any of them know that where they were standing would turn into a battlefield. By 1992, the Yugoslavian Federation broke up igniting a three-year civil war. 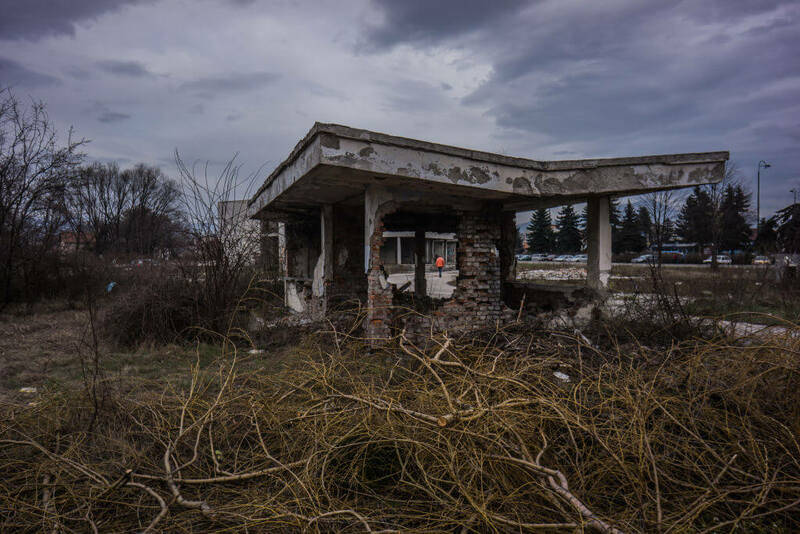 The entire Olympic stadium and village became a shelling target of the Serbians. Olympic Fact: Before 1900, women weren’t allowed to compete in the Olympics. In Ancient Greece, they weren’t even allowed to attend. Here, there is evidence of the violence and carnage that occurred on the grounds where the 1984 Winter games were held. Buildings that were once used to house athletes or accommodate the crowds were turned into sniper towers and mass graves. At the time, nobody imagined that such an impressive spectacle provided by Sarajevo would play a crucial war in a civil war. Olympic Fact: The Olympic torch is lit the old-fashioned way in an ancient ceremony at the temple of Hera, in Greece: Actresses, wearing costumes of Greek priestesses, use a parabolic mirror and sun rays to kindle the torch. This is a picture of Bebei, one of the five mascots used during the 2008 Bejing Olympic Games. 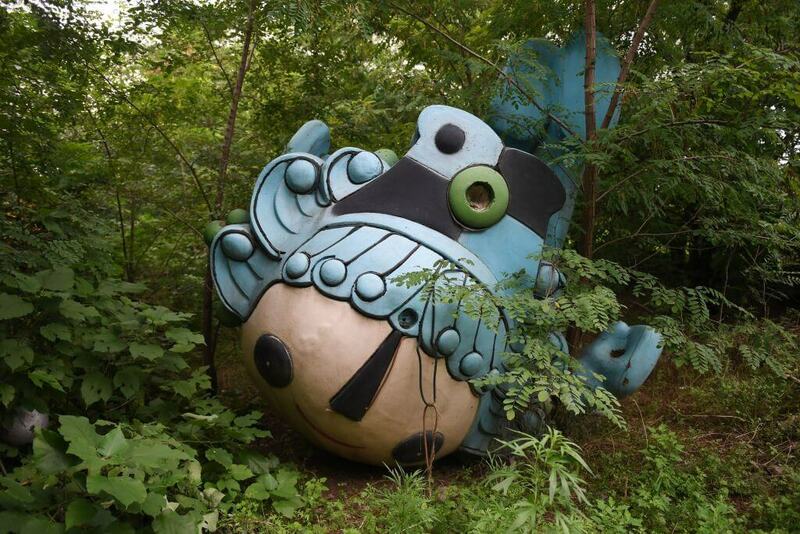 Today, it lies among the trees, behind an incomplete and abandoned mall in Bejing. The overgrown brush shows that nobody has even attempted to move it since the Games. Olympic Fact: The first Olympic Games took place in the 8th Century B.C. in Olympia, Greece. They were held every four years for 12 centuries until Emperor Theodosius banned all Pagan festivals in the 4th century A.D. Ten years after the 2008 Olympics in Bejing, it’s clear that the mascots aren’t the only things that have been left to waste away. 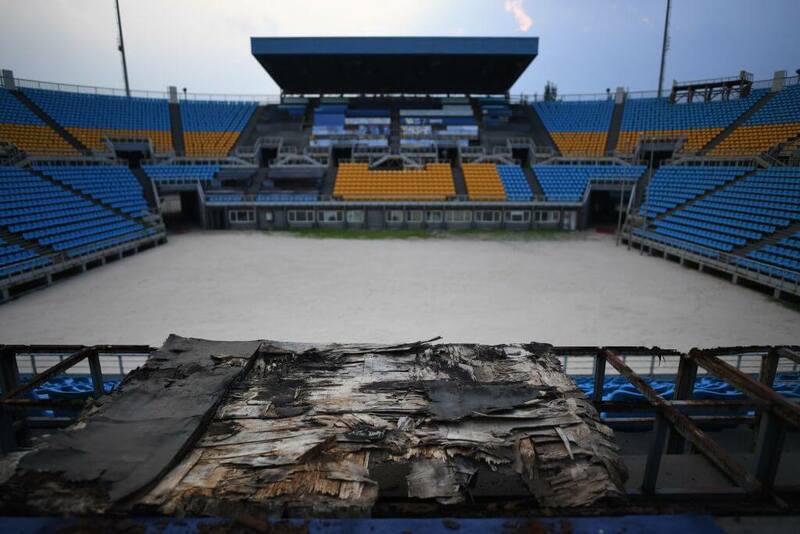 The wood is rotting on the stands of the beach volleyball stadium. Considering that nothing has been taken care of in the last ten years, it’s unlikely that anything ever will. Olympic Fact: solo synchronized swimming, tug of war, rope climbing, hot air ballooning, dueling pistol, tandem bicycle, swimming obstacle race, and plunge for distance are all events that used to exist. Here, two more mascots, Nini and Yingying lie in the same area with the rest of the abandoned mascots behind the failed mall. 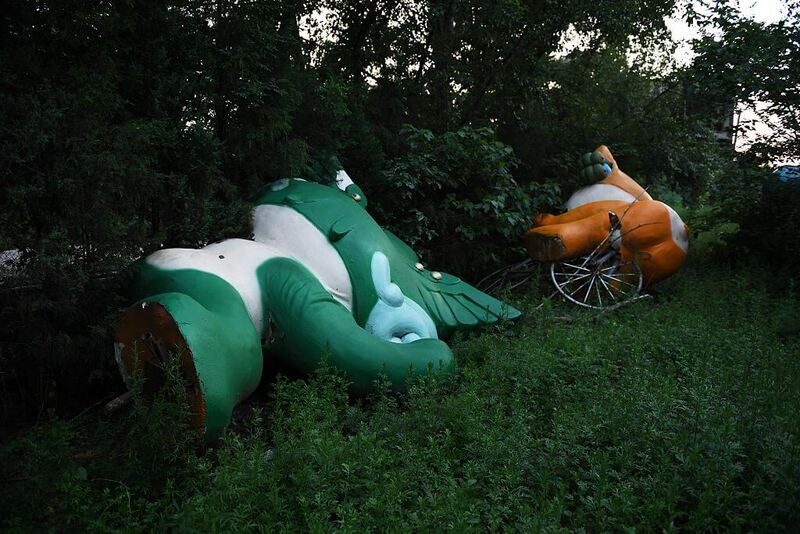 While these mascots once brought excitement and amusement to the attendants of the Games, they now lie defeated in the overgrowth. Olympic Fact: The Olympic Games were brought back around 1500 years later, and the first modern Olympic was held in 1896 in Greece. 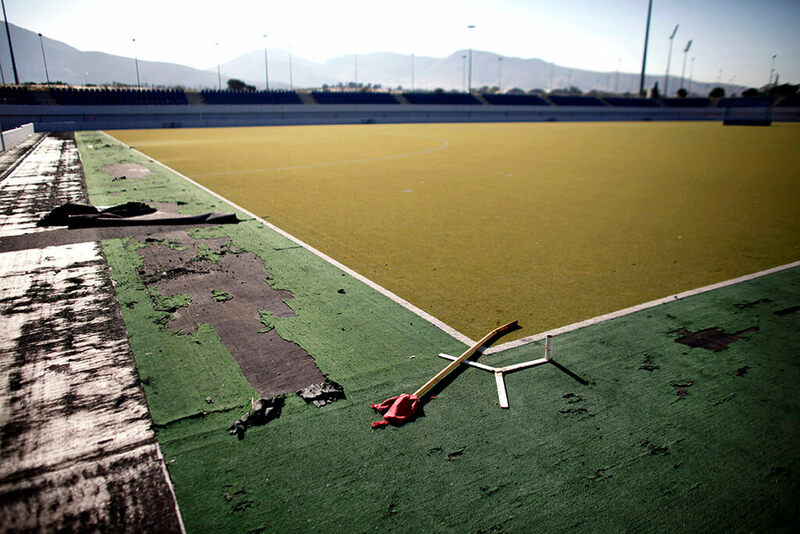 This is an abandoned Olympic stadium for field hockey that was constructed for the 2004 Athens Olympic Games. To this day, Greece has been criticized for spending so much money on the Games and failing to utilize them after the fact. Olympic Fact: In Ancient Greece, although the competition was fierce, competitors didn’t have any advantages over one another since everyone competed naked. This was so every event was as fair as possible and cheating would have been hard, if not impossible. 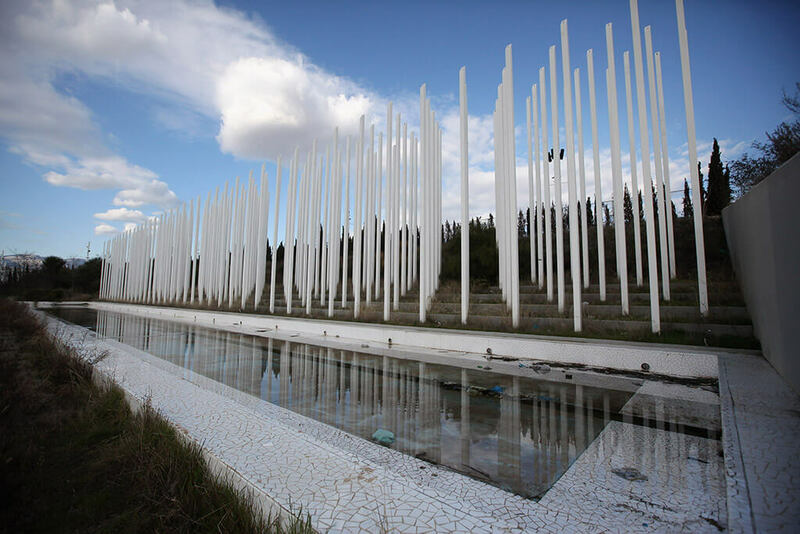 This is a view of the Olympic Canoe/Kayak Slalom Center at the Helliniko complex in Athens, Greece. In 2004, the motto of the Games was “Welcome Home.” The cost of the Games was an estimated 9 billion euros, with the majority of the sporting venues built for the Games. 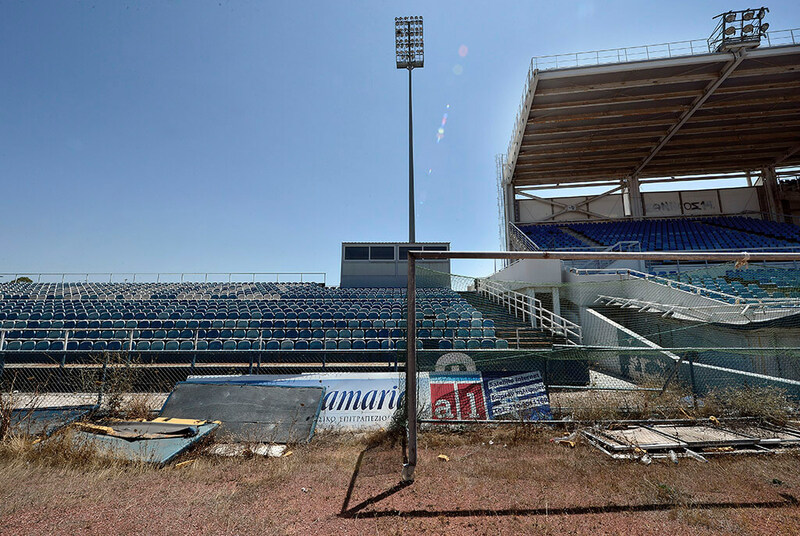 After the Olympics, Greece struggled financially, and almost all of the stadiums are now abandoned. Olympic Fact: In Ancient Greece, the Olympics weren’t just over the course of a month, but lasted five or six months. 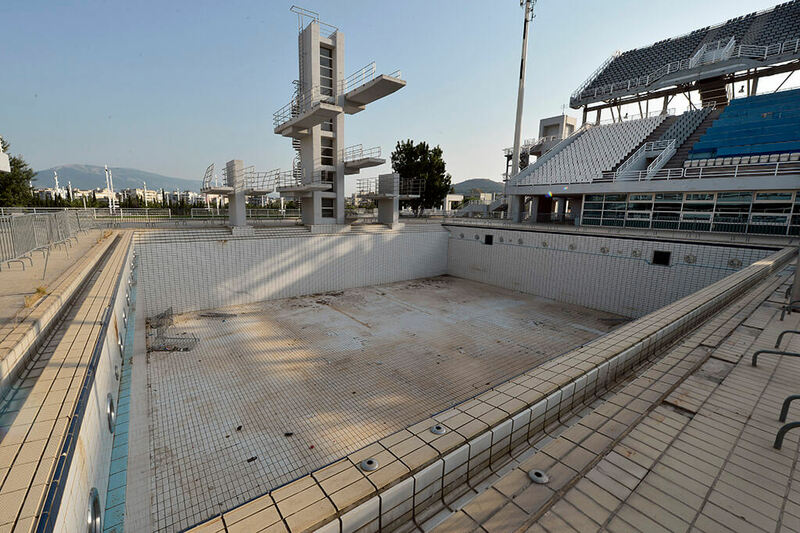 This is a picture of the now-abandoned Aquatics Center from the Summer Olympics in Athens, Greece. The Aquatics Center featured 32 events with a total of 937 swimmers from 152 nations and introduced the three-phase format of swimming. All in all, the United States won the most medals that year in all aspects of swimming. The 2012 London Olympics were the first Olympics that all participating countries sent female athletes to compete. Much like the rest of the Athens Olympic stadiums, the baseball stadium is in shambles as well. When it was in use, each country would play each team once for a total of seven Games. The top four teams at the end of the round would them advance to the medals rounds. The results were Cuba took the gold, Australia silver, and Japan the bronze. Olympic Fact: The first Olympic mascot was Waldi, the dachshund at the 1972 Games in Munich. 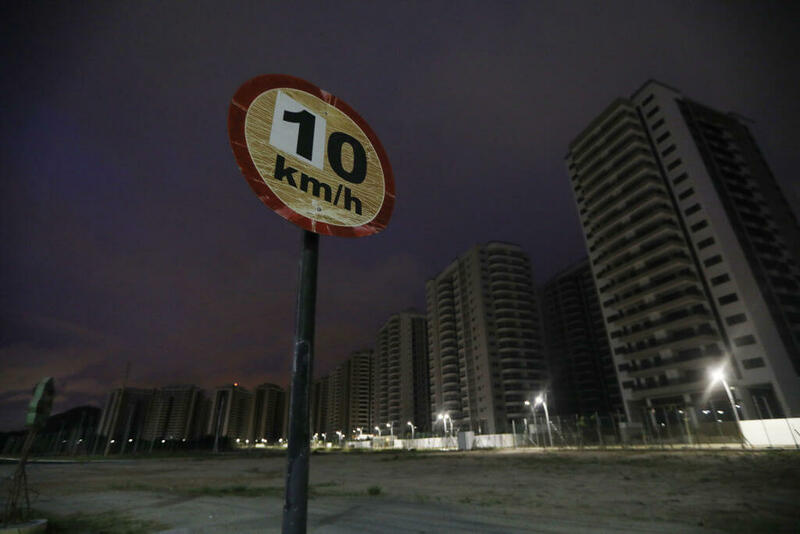 The Olympic Village in Athens certainly wasn’t spared either. 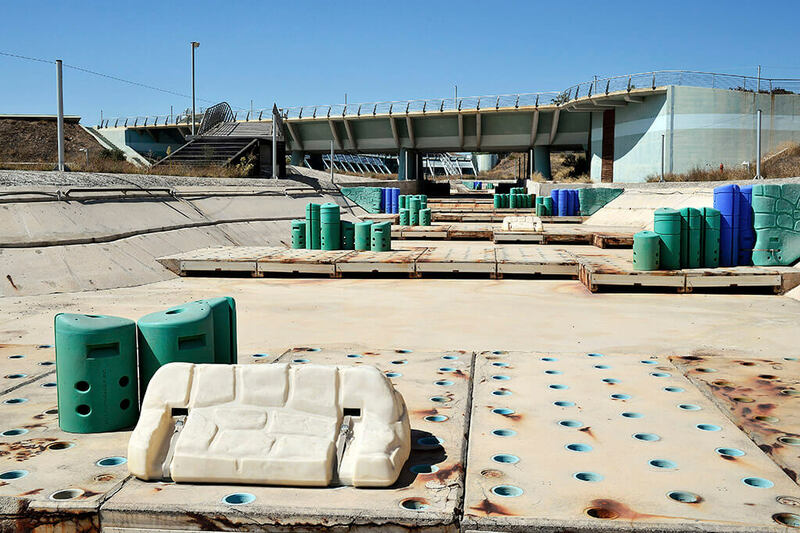 Over the years, it has experienced a fair amount of vandalism on top of the natural decay of the structures. At the 2004 Athen Olympics, 10,625 athletes competed, 600 more than originally expected, along with 5,501 team officials from 201 countries. Olympic Fact: The six Olympic colors: blue, yellow, black, green, and red were chosen because every countries flag has at least one of them. The Faliro Sports Pavilion Arena is part of the Faliro Coastal Zone Olympic Complex. 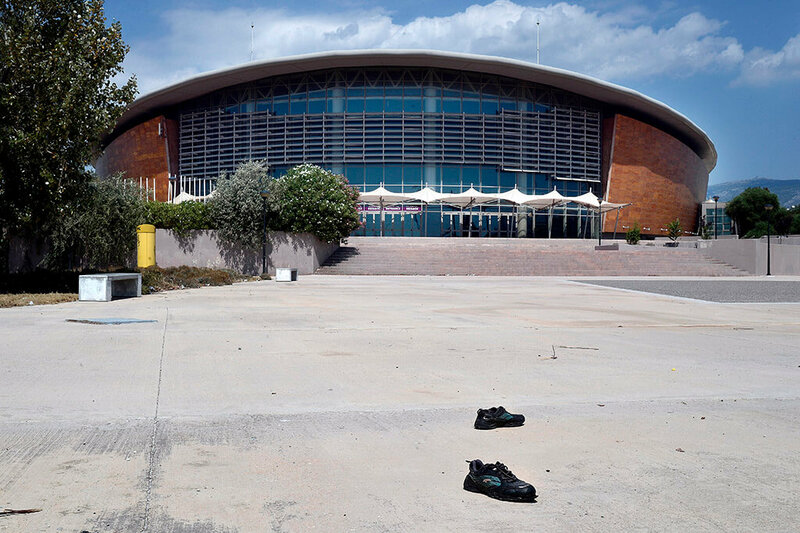 It is an indoor arena in Palaio Florio, near Athens, Greece. It is nicknamed “The Little Peace and Friendship Stadium” due to its design and the close proximity to the Peace and Friendship Stadium. During the 2004 Olympics, it was the site of handball and taekwondo competition. Olympic Fact: The Olympic Games have been held in 23 different countries throughout the years. The Olympic fields, pools, and stadiums, aren’t the only things that have seen their fair share of decay. The entire complex looks about the same. This can be seen by these unused flagposts in front of a water stream feature inside the complex. Considering this was the birthplace of the ancient Games, one would think it would have been taken better care of. Olympic Fact: During the 2012 London Games, the Olympic Village required 165,000 towels for a bit more than two weeks of activity. 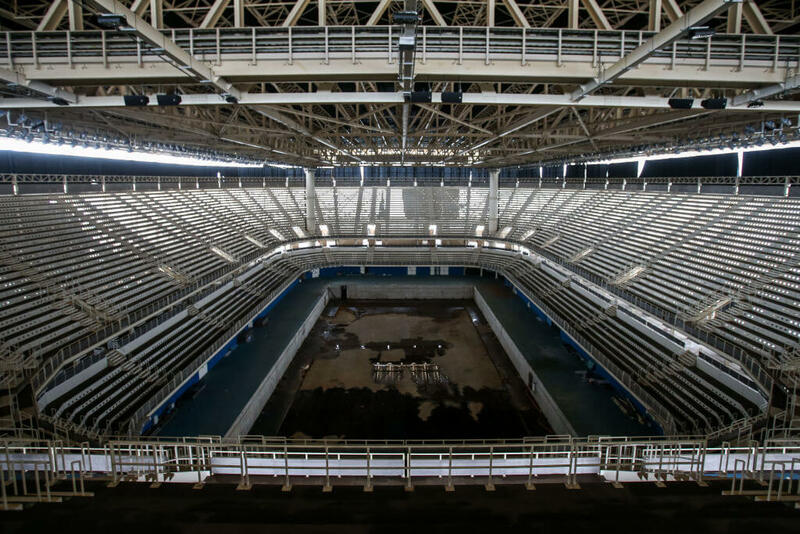 This is a view from the almost completely abandoned Olympic Aquatics Center from the 2016 Summer Olympics in Rio de Janeiro, Brazil. This picture was taken just nine months after the Games had ended, showing how little of the facilities were actually used in the following months. Although the Aquatics Center was to be dismantled, it hasn’t and the water left in the pool poses serious health risks. Olympic Fact: The unlit Olympic torch has been taken into space numerous times. 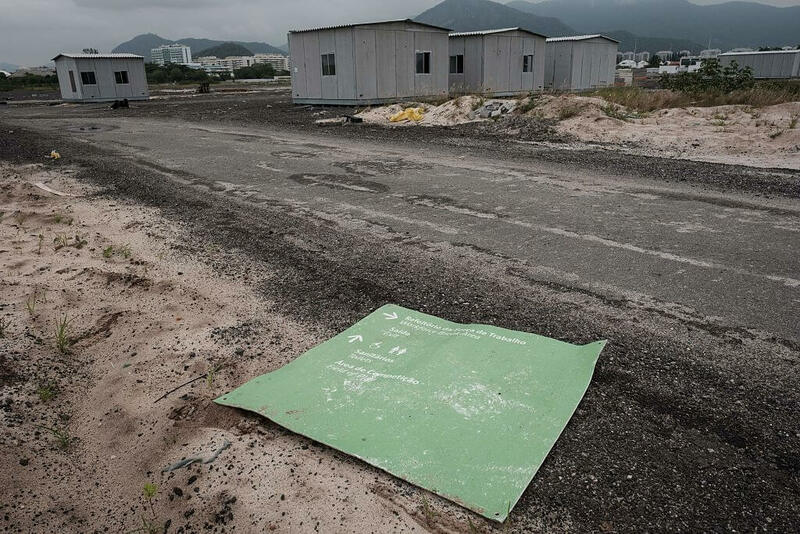 Taken only seven months after Rio held its first-ever Olympics, it is obvious that many of the sites are abandoned. This includes the totally reusable Olympic Village, which is now nothing more than a ghost town. This has angered many people since the organizers claimed that the Games would provide a legacy benefit for the city of Rio de Janeiro when in reality, it just made it worse. Olympic Fact: The five rings of the Olympic symbol were designed by the co-founder of the modern Olympic Games. They represent the five inhabited continents. With little to no maintenance, it’s no surprise that the golf course from the 2016 Olympics essentially ceases to exist. It’s now nothing but a barren wasteland sprinkled with abandoned prefabricated houses. Although it is now destroyed, the 2016 Summer Olympics was the first time golf had been played at the Olympics since 1904. Olympic Fact: The 2016 Games in Rio was the first time that the Olympics were even held in South America. 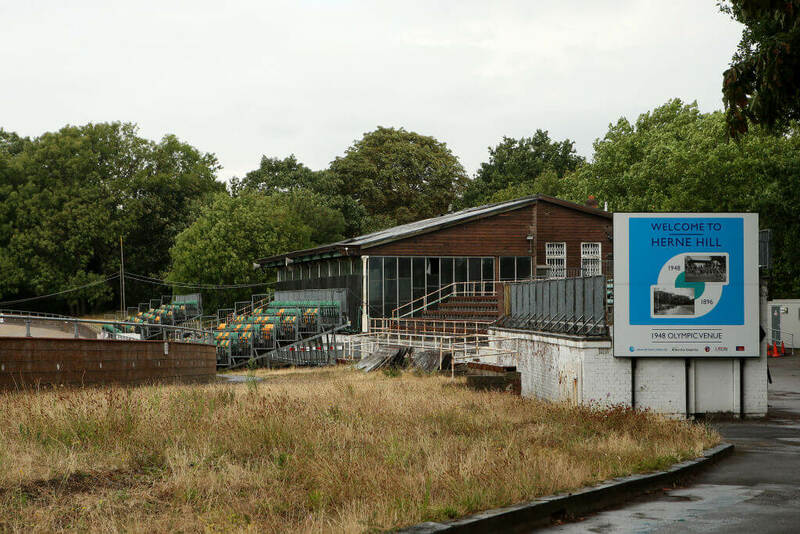 This is an image of the unused grandstand at Harne Hill Velodrome in South London. It was used as a venue for cycling events at the 1948 Olympics which were held in London. The games returned to the world after a 12-year hiatus caused by the outbreak of World War II. The 1940 Olympics had been scheduled to be in Tokyo and the 1944 Olympics in Helsinki. Olympic Fact: Between 1912 and 1948 painters, sculptors, writer and musicians competed for medals in their respective fields. 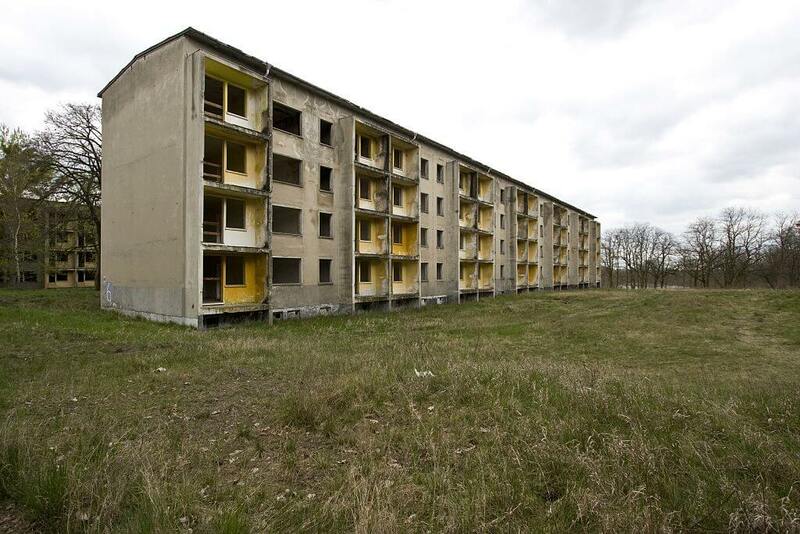 This is the deserted athlete housing in the former Olympic Village of the 1936 Olympics in Berlin, Germany. Berlin had won the bid over Barcelona in 1931, just two years before the Nazis came into power. Hitler wanted to outdo the Los Angeles Games of 1932 and build a new 100,000-seat track stadium, six gymnasiums, as well as numerous other arenas. Olympic Fact: The 1936 Games were the first to ever to be televised, with radio broadcasts reaching 41 countries. This is the interior of where the German athletes were housed during the 1936 Summer Games in Berlin. 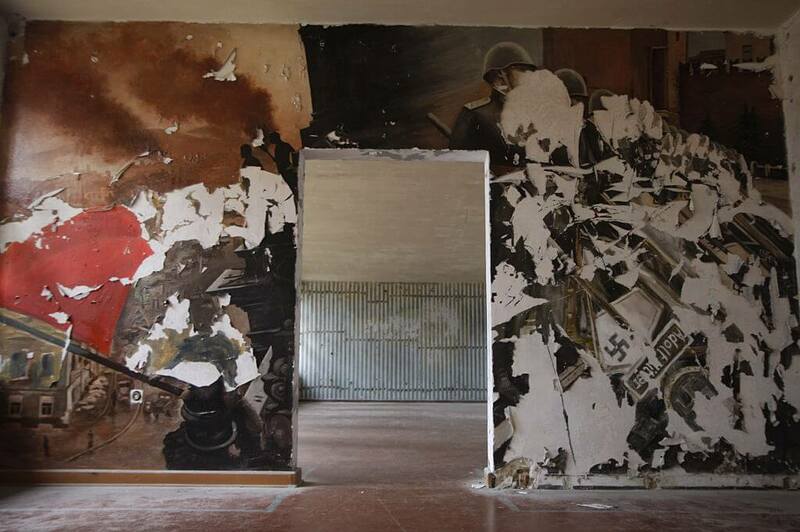 By this time, the Nazis had already come into power, which is apparent by the Nazi propaganda that adorned the walls. It was also during these Games that Hitler made his antisemitic views clear when he tried to ban Jews from participating. Olympic Fact: During the 1936 Games, two Japanese pole-vaulters tied for second. Instead of competing again, the two cut a silver and bronze medal in half and each took half of both.